Here is one of my favorite stories about a classic blues artist. 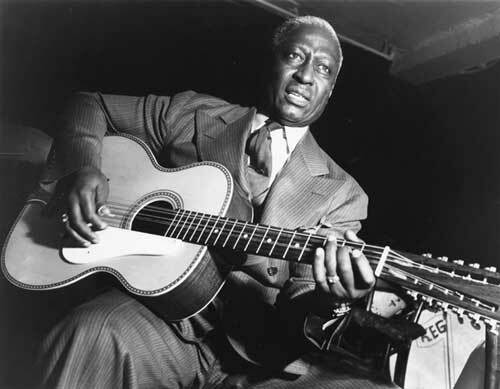 Lead Belly, the famous classic American Blues artist was born in 1888 as Huddie Ledbetter. He reached the top of his blues career later in his life during the 1930’s – 1940’s. Lead spent much of his early adulthood in a Texas prison for homicide. He got an early release after writing and singing a song for the State Governor. In 1925, he wrote a song asking Governor Pat Neff for a pardon. Neff, who had promised at his election never to pardon a prisoner, broke his promise and set Huddie Ledbetter free. In 1930 Lead returned to prison, this time for assault with intent to kill. Reputation and talent follow you everywhere, even through prison walls. Good citizen or not his music was desired and according to a folk song collector for the Smithsonian, John A Lomax, needed to be documented. 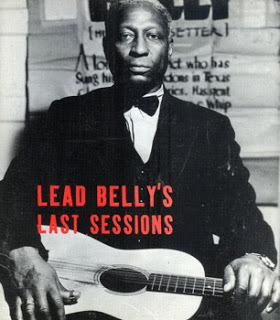 In 1934 John and Lead Belly recorded for the Library of Congress the album now titled “Leadbelly’s Last Sessions” Excited for this opportunity Lead let loose! He had a wonderful memory for music and folk stories. 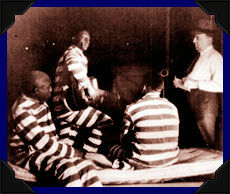 He played and sang songs from the Tin Pan Alley, dance tunes, prison work songs, mule-skinner hollers, rag songs and the “Mean-Blues”. This jail bird did SING! Accompanied by his 12-string guitar he sang all of these in his signature roof-ratting high baritone voice. His style of “Country Blues” or “Folk Blues” made him in a minor celebrity at the time. Lomax arrange (another) early release for Lead. Despite the segregation social pressures at the time these two, a white man from the northeast and a black man from the south, were determined to preserve musical history, together. Lomax and Lead traveled all across the southern states collecting and recoding rare and traditional music. Most of the folks they recorded were like Lead, too poor and unsure of how to get a recording contract. Folks who had memorized stories and songs from their friends and family and passed them down verbally. Songs and stories that were distinctly American but most Americans would never of heard one note if it wasn’t for this unusual “power team”: Lomax with the equipment & cash, and Lead with the knowledge & connections. Lead Belly~ his temper landed him in jail twice, but his music, the music of his people, set him free -twice. His biggest recorded hit “Good Night Irene” raised a revival for Folk Blues and influenced many.